Congratulations, a dream of many people came true for you – you’ve become the owner of property in Spain, on the sunny Costa Blanca. It is so carelessly to enjoy life in Spain and not to be distracted by routine problems associated with the maintenance of the real estate, right? International real estate agency Velas Purpuras, which translates from Spanish as “Scarlet Sails”, knows the answer to this question and offers the “Concierge service for property owners,” which includes all the details related to the servicing and maintenance of real estate. The service is based on the market research, investigation of our loyal customers’ needs and knowledge of local laws. So, what we can offer you, for only 99 Euros (a year!)? Inspection of the property item, its communications with the mandatory drafting of a photo report (monthly). Check of your mailbox for any important correspondence (monthly). Storing copies of keys, and then sending them to the owner or his authorized representative. Assistance with conclusion and monitoring of all the necessary contracts related to real estate (contracts with public utilities, security contract, insurance contract), as well as banking services contract. Control over the timely and proper payments of all mandatory taxes and charges related to real estate (utilities, internet, television, and mobile communications). Assistance with the arrangement of qualified real estate services (repair, small household works, house cleaning, gardening, etc.). Lease of property or assistance with interaction with your tenants (if desired, and by agreement with the owner). Translations from Spanish of all your necessary talks by phone. 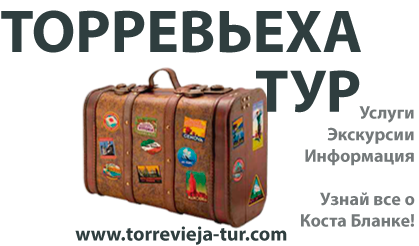 Moreover, we will always help you to book flights, rent a car, book a transfer, check the flight and railroad schedules (deviation from the schedule), find out information on the availability and the prices of air and railway tickets and much, much more. The list of our services is not limited to the list above. Any customers’ instructions that are agreed in advance are taken in work. The cost of this range of services is calculated for the cities of Costa Blanca (Orihuela Costa) – La Mata, Torrevieja, Punta Prima, La Zenia, and Campoamor. Check with the operator the availability of services and their prices for other cities in Spain. The Concierge service for property owners in Spain provided by the company “Velas Purpuras” is a guarantee of your tranquility.